The line's new ship will wow your clients with its cutting-edge collection of public spaces and accommodations. To say that Celebrity Cruises took a gamble with the 2,918-passenger Celebrity Edge is an understatement. It’s the line’s first newbuild in six years, the first of a new ship series in a decade and the first new ship design for Celebrity in 13 years.It was well worth the wait. Matching Clients to Accommodations: Of Celebrity Edge’s 1,467 staterooms, 918 are in the new Edge Stateroom with Infinite Veranda category. With nearly 243 square feet of space, king-size beds and expanded showers, the staterooms attract clients who would typically book mini-suites. Recommend the Aqua subcategory of accommodations to your spa-loving clients, which features complimentary access to the 22,000-square-foot spa’s Thermal Suite, a spa concierge and Blu, a healthy dining venue. Consider booking your luxury clients in The Retreat, which offers butler service and a lounge, a sundeck, a pool and bar, and a private restaurant. Suite categories include 146 Sky Suites (400 square feet); six two-level Edge Villas (951 square feet, private plunge pool); and Penthouse Suites (1,578 square feet, two bedrooms, two bathrooms); and a new category, the 2,592-square-foot, two-bedroom Iconic Suites, located above the bridge and featuring panoramic views, verandas with hot tub and cabanas. What's Included: Most everything except drinks, excursions and gratuities. Guests accommodated suites enjoy lunch and dinner service in staterooms. Specialty dining charges range from $25 to $65 per person. What's For Dinner? Celebrity Edge has no main restaurant but instead offers four complimentary dinner venues—Normandie (contemporary French), Cosmopolitan (new American), Tuscan (Italian) and Cyprus (Greek). Suite guests can dine at Luminae at The Retreat, with a menu by Michelin-starred Chef Cornelius Gallagher. Six alternate dining venues include a steakhouse, raw bar, hamburger grill, outdoor BBQ, a whimsical dining event featuring 3D table animation, and Eden Restaurant, which combines dining with performance art in one of the ship’s most imaginative spaces. Public Areas: By far, the most provocative area of the ship is Eden. The three-deck-high, plant-filled space at the back of the ship is encircled by glass. Part lounge, part dining and entertainment venue, it has a bar featuring the Library of Plants, where garnishes are handpicked. The lower level houses both Eden Restaurant and Café. The Grand Plaza, which serves as the hub of the ship, pays tribute to the golden days of cruising. It’s home to several specialty restaurants and bars. The Rooftop Garden offers the Rooftop Concert Series and the Garden Cinema Series, which is the next evolution of the brand’s under-the-stars moviegoing experience with live musical performances. On the asymmetrical Resort Deck, a ramp leads from the main pool to giant martini glass-shaped hot tubs, seemingly suspended in the air. A jogging track, adults-only solarium and Rooftop Garden complete the area. The latter will serve as a venue for pop-up musical performances and screenings. The tennis court-sized Magic Carpet changes its location along with function, depending on which deck it positions alongside. It serves as a boarding platform for the ship’s super posh tenders and can extend alternative-dining seating space, function as a bar, and more. 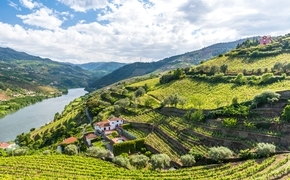 Insider Booking Tip: With 170 connecting stateroom options, creative combos abound. Agents can offer unique options, such as Sky Suites paired with inside staterooms to accommodate up to six. 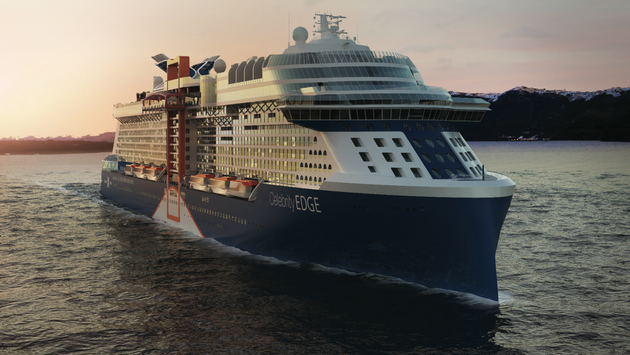 Agent Assistance: For a rundown on agent programs, log on to cruisingpower.com for the Celebrity Edge e-access kit.